Sure, you’d be fine with new socks and a gift card. 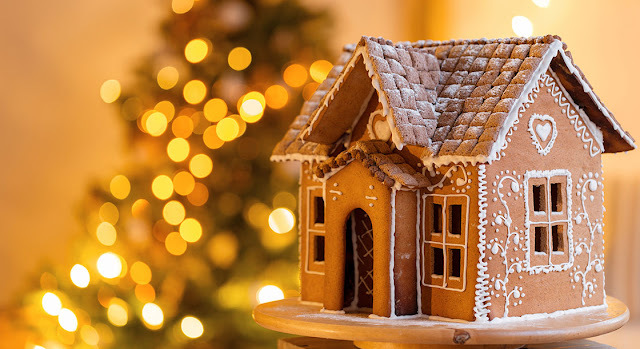 But here are five reasons why December is the ideal time to purchase your next home. 1. You hold the cards. Nobody wants to think about moving when there’s pie to eat and stockings to stuff. So, anyone who’s selling probably needs to do it fast. And their need for speed could work to your advantage when negotiating. 2. Supply and lack of demand. Even though there aren’t as many homes for sale this time of year, there’s also a lack of buyers. That means fewer offers to compete with, and typically, lower asking prices to start. 3. Temperatures are falling, but rates may be rising. Rates and down payments are still low, but with the Feds projected to raise rates in 2019, now is the perfect time to take advantage. 4. Everything else is on sale too. If you need a new couch, new area rug, or home décor, chances are there’s a holiday sale for that. And wouldn’t you know it, we have a Max Rewards Credit Card that pays you cash back for every purchase. However, bear in mind that new debt can affect the financing of your home. So, if you do buy anything, pay off the debt before you go to the closing table. Or better yet, wait until after you’ve closed. Finally, if you do decide to buy, make sure to notify Santa of your change of address. We don’t want you getting coal by mistake.